Gabe Vehovsky Executive Vice President, Digital Strategy & Emerging Businesses As Executive Vice President, Digital Strategy & Emerging Businesses, Gabe Vehovsky is responsible for managing a carefully selected pipeline of new digital initiatives, working in conjunction with Discovery’s leadership. The Digital Strategy & Emerging Businesses team is part think tank and part product and partnership development with an entrepreneurially minded approach to identifying and nurturing business opportunities. Appointed to his current role in January 2012, Vehovsky previously served as Executive Vice President, Strategy & Client Solutions, overseeing the development and execution of strategies and cutting-edge advertising opportunities designed to maximize revenue for Discovery’s portfolio of websites, including HowStuffWorks.com and network sites such as Discovery.com and TLC.com. Utilizing research and analytics to measure audience behavior and engagement, the Client Solutions team created custom programs designed to provide a rich user experience developed with key partner needs in mind. Prior to this, Vehovsky served as Executive Vice President of Strategy & Research for HowStuffWorks.com, where he played a key role in taking the site from a small start-up to a premiere content destination, which was acquired in 2007 by Discovery Communications. 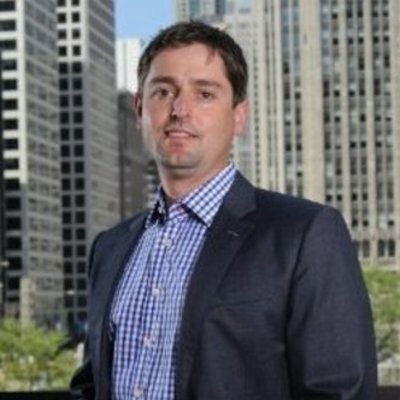 Prior to his leadership role with HowStuffWorks, Vehovsky served as a research analyst for The Convex Group, the media and technology company that owned HowStuffWorks.com until its sale to Discovery. In this role, he refined existing businesses and developed new opportunities for the Convex portfolio of companies. Before joining Convex, Vehovsky was a managing partner of a sports medicine clinic where he held P&L responsibility and oversaw a team of health care professionals focused on establishing scalable franchise models. He also started Creative-Rain, LLC, a consultancy focused on brand positioning and Web strategy. Vehovsky holds a bachelor’s degree from Indiana University and a MBA from Georgia State University. He is based in Discovery’s Chicago office.